When it is time for landscaping your St. Louis property, rely on T&L Tree Service. We have over 4 decades of experience in the landscaping field, and all the members of our team are certified arborists. From the first interaction with our team, the benefits of working with experienced, trained professionals will become clear. We take the time to understand your landscaping goals, and we use our expertise to help guide your project from the initial quote all the way to a completed, beautiful landscaping project. Our certified arborists will help you choose the best possible tree or shrubs based on your landscaping goals. Because we know and love trees, we will advise upon the best varieties for size, placement, soil and sunlight that will thrive in your chosen location. 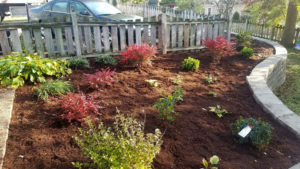 Although tree and shrub planting can look like a simple affair, tremendous knowledge is required to make sure that the plants thrive and that your landscaping investment is worthwhile. Factors such as soil, sunlight, square footage available, and even the time of year for planting can impact the success and health of your landscaping. We would never recommend plantings that are not in your best interests. We value our clients and know that happy trees make happy clients. Call today 314-895-1883 to arrange a landscaping consultation. 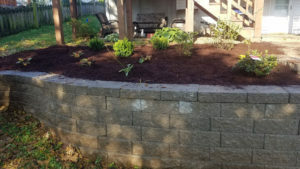 If you need a brand-new retaining wall, or if it’s time to replace your current one, T&L Tree Service can get your project done. Creating a retaining wall that will stand the test of time and the elements is a precision activity. 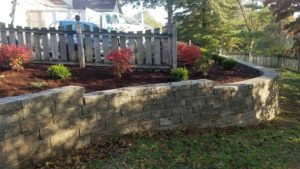 Count on the experts at T&L Tree Service, with 4 decades of experience, to build a beautiful retaining wall that will last. Call today 314-895-1883 to discuss your retaining wall needs. Laying sod or getting grass to grow can be a frustrating experience. The time, expense and effort involved can be daunting for a non-professional. To guarantee the best results, rely on the certified professionals at T&L Tree Service. Every one of our team is a certified arborist, and these skills and knowledge translate into creating the beautiful landscape you’ve wanted. When it comes to laying sod or planting grass, factors such as soil composition, sunlight and water schedule can make a big difference in the choice of sod or grass seed. We begin our process with an in-depth consultation and examination of your landscape to make the best possible choice of sod and grass variety.